We, “ Hindustan Ice & Cold Storage”, are a leading chain in the market engaged in rendering Cold Storage Services from the last 40 years. 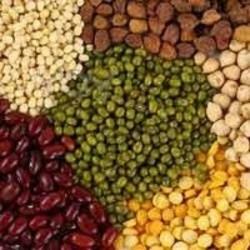 These services are offered for Dry Fruits, Pulses/Spices, Butter, Chocolates, Dairy Products, Beverages etc. We are also engaged in offering a wide range of warehousing, temperature control ( from 0 degree celsius ), humidity control, inventory management with power backup services. Well-equipped with all the modern facilities, we ensure safe and hygienic storage of all the products . Besides, our cold storage facility helps in retaining the freshness and edibility along with preserving the nutritional content of the stored products. To offer these services, we have in built cold storage units and warehouses which are equipped with latest and advanced technology and offer stream line processes. Also we have a team of qualified professionals, which is well versed with industry knowledge and experience. Owing to these facilities all our services are acknowledged by our esteemed clients. Knowing that food products are of different types, we have maintained multiple temperature regulation facilities at our unit. Our services are useful for products, which constantly require temperature change due to changing environmental conditions. Wholesalers extensively avail our services to avoid spoilage and loss of nutrition of their products.